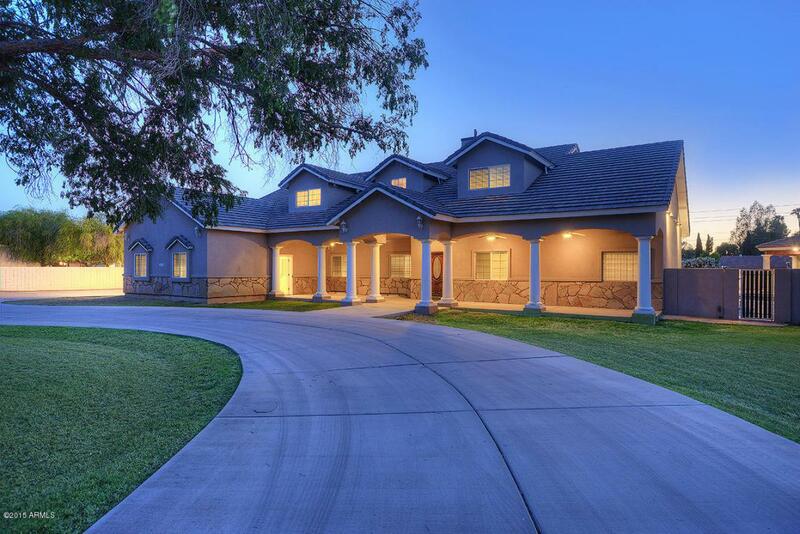 9 Bedroom/5.5 bathroom 5,549 SF Horse Property on an irrigated acre in Mesa! 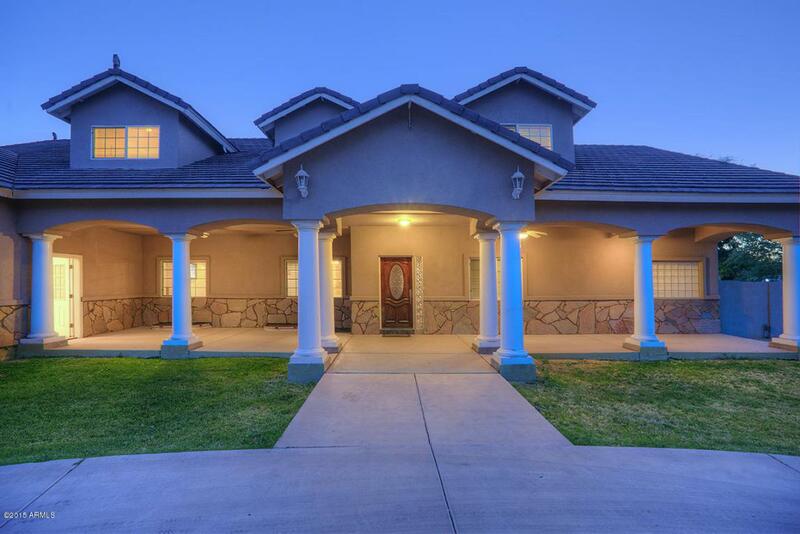 This beautiful mini mansion has RV gate, RV parking garage, private/fenced pool with water slide and pool house with 1/2 bath. 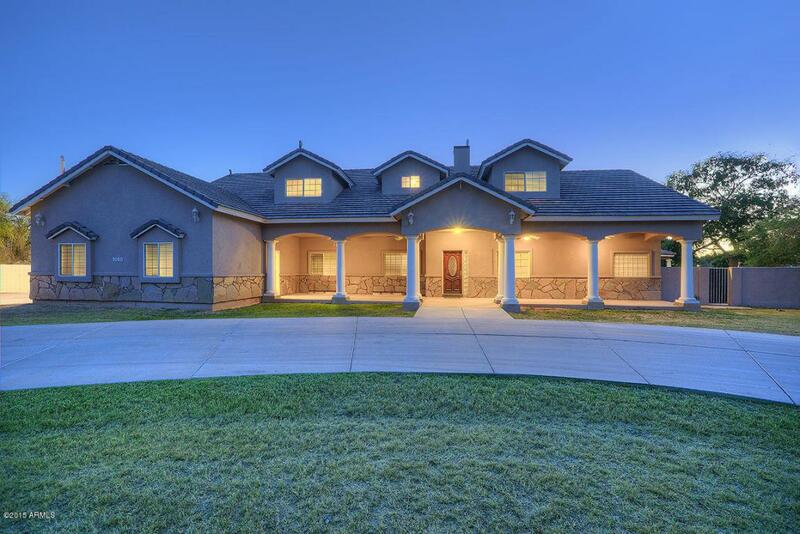 Main floor master suite has walk-in shower with 7 shower-head system, jumbo Jacuzzi tub with built-in TV & DVD player, and a double french door opens to the pool paradise. The in-law suite on the ground floor has separate entrance and a walk-in shower. Upstairs has a large great room, 4 bedrooms, 2 Jack-and-Jill bathrooms and a laundry hookup. Basement has a great room, kitchen, laundry room, 3 bedrooms and a bathroom. 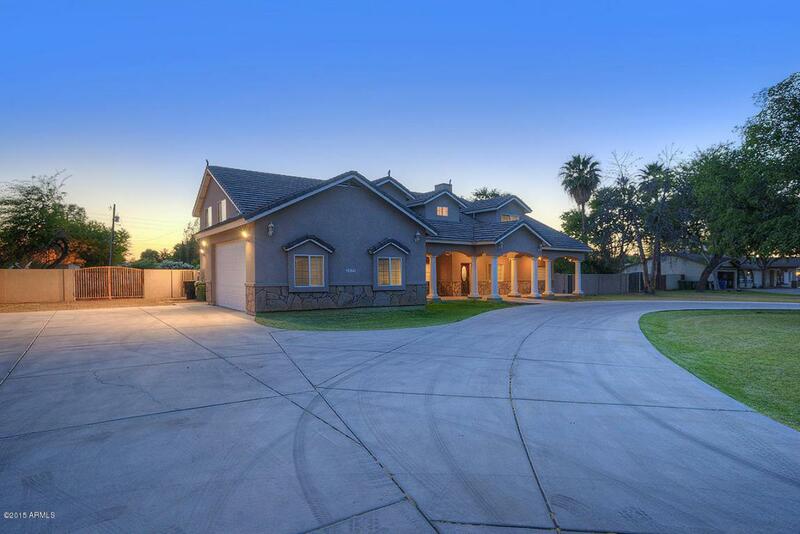 Full size covered patios with multiple ceiling fans run the length of the home both in front/back. List is endless. Listing courtesy of Smart Choice Realty, Llc.